I have read every book Melanie Shankle has written, so I was thrilled beyond thrilled to be chosen to be on the Church of the Small Things launch team. Melanie came to fame as a blogger. Her first book, Sparkly Green Earrings, is about motherhood. It knocked me off my feet. Then, she wrote a book on marriage (Antelope in the Living Room). Next, she wrote a book on friendship (Nobody's Cuter Than You). 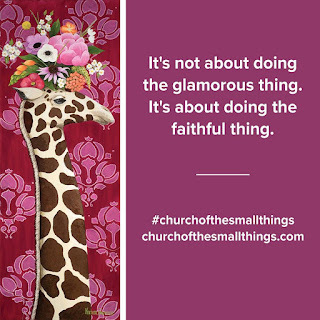 Now, she has a written a book (Church of the Small Things) that contains aspects of each of these themes. The book is just as great as her previous books, and you are going to wait to add it to your bookshelf. Let me tell you why. 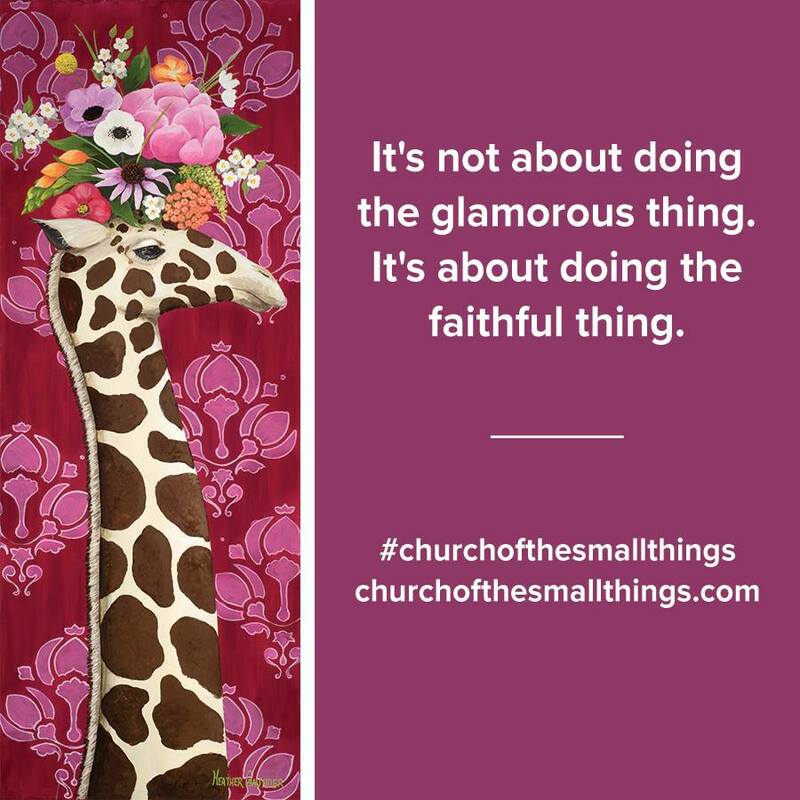 In Church of the Small Things, Melanie tells story after story where she recognizes that the everyday, small, often unrecognized things are actually the things that make a life. It is easy to wonder if what you are doing really matters. Melanie assures us, yes, it matters. The small things build a life. The book is a joy to read because Melanie is so relatable. She made me laugh out loud several times, and she made me cry. She made me think about the meaning of things and delve deeper into my faith. Just last night, I was discussing fear and faith with my girlfriends – and especially how easy it is for me to not trust God with the small stuff. 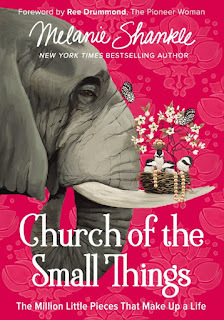 But, this book reminds me that God is even in the midst of those small things and He is using them in ways I fail to see. 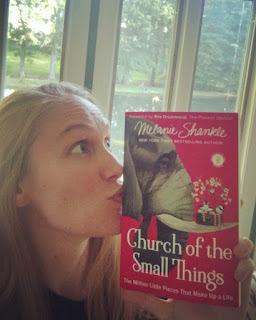 Thank you so much to the Melanie Shankle and Zondervan for providing me with a copy of Church of the Small Things to review! For more information about the book and the forthcoming Bible Study, visit the website. *You can purchase the book from Amazon here (or by clicking the image of the book cover). These are affiliate links. Thank you for supporting my blog.